Hey there BZF fans, it is with a heavy heart that I bring you some sad news. Last week my local Blockbuster shut down and I couldn’t help but have a little moment. You see, I was always that kid who would reserve the new releases, rent movies with my mates on a Saturday before a sleepover, hell I even rented my first R rated horror movie there!! Sadly, due to heavy competition from Video on Demand and online traders Blockbuster has shut its doors forever in the USA. Here in Australia, there are still some independent franchisees operating but the numbers are on the decline. Despite this rather unfortunate news, there was one thing to sweeten the deal – a super amazing closing down sale!!! There is one rule you must abide by with these sorts of sales, first of all, the advertised closing date is never the real closing date, make sure you hold out until you know they are closing for sure, my store said “LAST DAYS” four times. 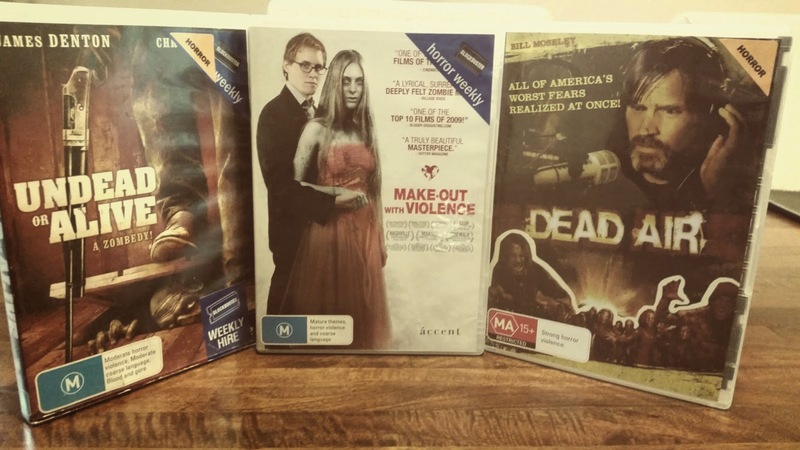 You can call me cheap, but I was waiting for the final day of the sale to swoop in on the lowest prices and I’m pleased to report that I managed to grab 3 zombie movies for the price tag of $6 SCORE!!! I don’t know too much about these films but I have decided to share the trailers with you below. It’s sad to see the end of an era mainly because I have heaps of memories and good times spent with friends down at the local video store, here’s hoping the other video stores in my area won’t be shutting down anytime soon! !